Following in the footsteps of Osheaga and Heavy Montreal, ileSoniq debuted in 2014 for fans of dance music. The two-day international music festival occurs every summer in Montreal, at Parc Jean-Drapeau. 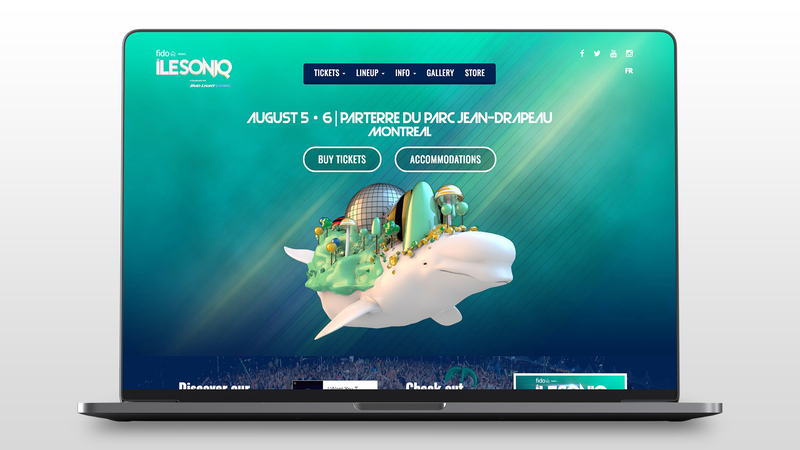 We were really excited to work with evenko for IleSoniq and wanted to give fans a chance to shine in the spotlight. We created an online campaign with the longest stop-motion video ever seen starring fans from around the world. Fans could tag themselves and their friends in the video and also enter to win a VIP experience at IleSoniq. The viral video drew the crowds in. It was a great way for dance fans to interact with the festival, and keeps its yearly tradition alive.